It’s no secret that kids are under a lot of academic pressure these days, and private tuition is often seen by parents as a great way to increase their children's chances of success. 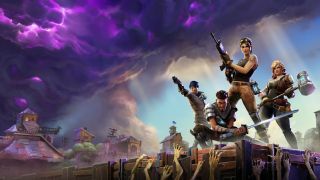 However, a new report suggests the latest boom area for private schooling isn’t maths, English, or another academic subject – it’s Fortnite. The Wall Street Journal (requires subscription) is reporting on the growing demand for gaming tuition amongst parents who want to improve their kids’ ranking in the battle royale phenomenon, with parents forking out up to $20 per hour for experienced gamers to take their children under their wing. Why would parents want to encourage their children to stay inside and play video games all day? Apparently it’s all down to schoolyard power relations. Ally Hicks, who paid for a Fortnite tutor for her 10-year-old son, told the WSJ: “There’s pressure not to just play it, but to be really good at it. You can imagine what that was like for him at school”. While the private tuition trend highlights the growing popularity of Fortnite, there are some who fear children are becoming addicted to it and other games. Behavioral expert Lorrine Marir is among them, citing addiction and ‘difficulty concentrating‘ in school as negative effects of playing game. The idea of paying someone to improve your gameplay is nothing new; it’s possible to hire someone to mine gold for you in World Of Warcraft so that you can spend your virtual cash on character upgrades and weapons, and it’s such a lucrative market that Chinese prisoners are reportedly having ‘gold farming’ added to their work schedules, alongside hard labor, according to an article in Cracked. Gold farming is frowned upon by Blizzard, the company behind World Of Warcraft, and if you’re caught you could land yourself with a lifetime ban from the fantasy MMORPG. As of yet there are no rules against hiring a private tutor to improve your chances at Fortnite, however, and with the one-year anniversary of the game’s launch upon us, Epic Games has released a number of birthday challenges, as well as the recent patch.